Rosoff, Meg. 2004. HOW I LIVE NOW. 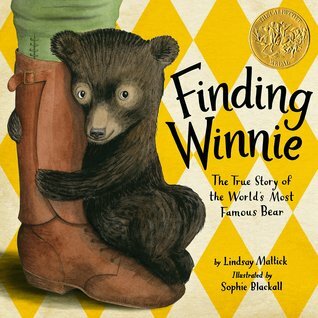 NY: Wendy Lamb Books/Random House Children’s Books. ISBN: 9780375890543. Sent to live with her Aunt Penn and her four cousins, whom she never met, in England, fifteen-year-old New York street smart Daisy finds love and an ideal and picturesque life before it is interrupted by a war. With love for her cousins, she determinedly survives the turmoil and horror that comes with the war and finds her way back home. Meg Rosoff’s How I live Now is a remarkable book about Daisy being sent to England because her unconnected father and “diabolical” stepmother cannot handle her hatred mood and Anorexia and who finds love in her cousin Edmond before she and her cousins are separated by the war. “you can’t ask like Did she have like yours and When you pushed my hair back was that what I feels like to have your mother do it and Did her hands look serious and quest like yours and Did she ever have a chance to look at me with a complicated expression like the one on your face, and by the way, Was she scared to die” (Rosoff, p. 20). As the story continues Daisy slowly yet surely transitions to new a new self. She becomes a mature young woman in order to survive and save her cousin Piper as the world around her begins to suffer by unknown enemies. Even in the end she, as an example of how a war can physiologically affective, over comes her Anorexia because of becoming half-starved to death as she and Piper journeyed back home with barely enough food. 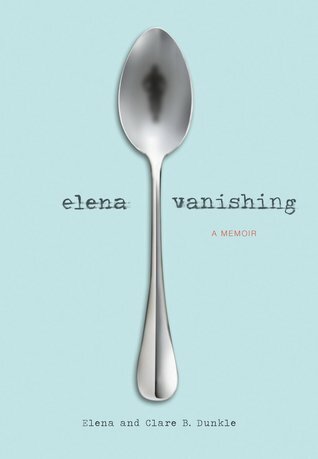 She initially purposely starved herself because of hatred and the power that it gave her, but during the war “the idea of wanting to be thin in a world full of people dying from lack of food stuck even [her] as stupid” (Rosoff, p. 159). Her cousins are also developed wonderfully. Each one of them have their own characteristics. Piper, the youngest, is loving and quite mature for her age. She also has the ability to understand dogs. Edmond and Isaac are fourteen-year-old twins. Isaac hardly speaks yet he understands many things, especially the behavior of animals. Edmond is the bolder twin who talks more and connects with Daisy instantly. Finally there is the oldest Osbert. As a sixteen year old he is busy and becomes wrapped in the war and ultimately joins the remaining army as the house is sequestered. All the twins share an ability to be telepathy. This is especially the case for the twins Edmond and Isaac. Daisy notices instantly that Edmond can answer questions that she nonverbally asks herself, and Isaac is able to understand the animals through this ability. Like Daisy’s father and stepmother, Aunt Penn is hardly in the book and is not described in detail. The plot well developed and provides an interesting story of how an immature teenage grows to maturity during the ravages of a war. There is true reason of why a war has started and who the enemy. There are many speculations; however, no one is certain. The method to how the enemy has invaded England was done by drawing the British Army away fro the island and taking over the resources which blocked the army from returning; practically taking over the country inside out. Life improves for Daisy in the English countryside. She has a sense of love and security on the farm, even when war breaks out with terrorist attacks in London while her Aunt Penn is out of the country in Oslo. She and her cousin Edmond are passionately in love with each other and life on the farm is picturesque and unaffected. However, that all comes to an end when, after quite sometime, the cousins are split into two and separated when soldiers sequester their farmhouse. The remainder of the book takes the reader throughout the English countryside as both Daisy and Piper live and work before making their bleak and starved trek to find Edmond and Isaac and home. As mentioned above, the story is set in the English countryside sometime in the near future. The reader is taken from family farmhouse to the local town where the children purchase food that is slowly becoming scarce. When they are split up and sent to live elsewhere, the readers finally are able to see how other parts of the countryside are gray and are frazzled and scared about the occupation of the enemy. Because of the current matters in today’s world, the story quite realistic, despite the fact that is set slightly in the distant future, and realistically describes how it is like to be living during a time of war seeing the destruction that is causes first hand. This is especially illustrated when Daisy and Piper witness the bloody shooting of Joe, young man who worked with Daisy as many gathered food, and Major McEvoy, whom they lived with, and viewing the decaying bodies of seventeen massacred men, women and children on a farm as the two girls searched for cousins Edmond and Isaac. The readers are also opened to the emotions that comes with discovering love ones who are causalities of the devastation, such to the girls finding the body of Dr. Jameson, who they had met earlier that year, and their beloved pet goat Ding who was ridden with hunger and disease. The readers also that other destruction of war can be psychological, as it is seen at the end of book when the reader learns how Edmond became physically and mentally scared after witnessing the massacre (Rosoff, p. 191). Even Isaac opens up and speaks more frequently. The major theme of How I Live Now is love. Love is the key factor in survival. It is because of her love for Piper and Edmond that Daisy has the strength and determination to make it back home. She uses her smarts to learn from soldiers how to stay alive in the wilderness and which direction they should go in order for Piper and herself to make it home. When Daisy is taken a back to the United States by her father, it is her love for Edmond, who’s fate she still did not know, that she lived six years in New York City while the war raged on and finally ended. Because she knew that her home was truly in England on the farm with her loving cousins, she returns to be with Edmond who is still alive. Other underlining themes that can be seen in the story is the affects of war; however, even though the war a predominate fixture in the plot it is not the main theme. The story is narrated by Daisy herself, which allows the readers a wonderful insight into the thoughts and feelings of the main character as she lives in England. The language matches perfectly to a teenager her age and who had lived in a highly populated American city. There is more narration than there is dialogue. However, the style of the dialogue is uniquely done. To create the sense of Daisy telling the story Rosoff did not use tradition quotation marks to represent dialogue. Instead they were simply added into Daisy’s narration and only signified by the capitalization of the first letter of the first word. The narration is also an extension to Daisy transformation to a mature young adult. In the epilogue-esque ending, when she is around the age of twenty-one, her language is no longer riddled with words like “crap” and “pissed,” and she speaks with greater detail than before and with more emotions. Also, while talking once again with her cousins, Rosoff uses the true quotation-style dialogue. The use of the unique language and narration style allows Daisy to more real and vivid to the readers who will be able to connect to her better. Rosoff’s How I Live Now is a truly intriguing and at times raw story of how a teenager transforms to a young woman during 21st century wartime, which truly deserves the Michael L. Printz Award. *Discuss with the group Daisy’s transformation from a disgruntle teen to a mature character. *Have the group discuss how they would have reacted if they went through the same thing that Daisy and her cousins went through. DiCamillo, Kate. 2003. THE TALE OF DESPEREAUX: BEING THE STORY OF A MOUSE, A PRINCESS, SOME SOUP, AND A SPOOL OF THREAD. Ill. by Timothy Basil Ering. Cambridge, Mass: Candlewick Press. ISBN: 0763617229. Once escaping the dungeon and his death sentence, Despereaux, a tiny yet big-eared mouse, becomes the unlikely hero when he saves his human love, Princess Pea, from the devious plans of Roscuro the vengeful and misunderstood rat and Miggery Sow, a slow-witted yet wishful castle servant. The plot of The Tale of Despereaux: Being a Story of a Mouse, a Princess, Some Soup, and a Spool of Thread (or The Tale of Despereaux for short) is exciting and contains classic fairy tale elements. In this original take on a traditional tale of knights, fair maidens, and villains, DiCamillo has created a story of three main characters, Despereaux, Roscuro, and Miggory Sow, and how their lives are connected to and revolve around Princess Pea. The story moves at a wonderful pace as it tells the story of Despereaux innocently living against the mouse norms, of Roscuro who to would live not the darkness with the other rats but in the light, of Miggory Sow who dreams of becoming a princess but receiving laughs and “clouts” to her ears instead, and finally Princess Pea who a kind girl but is sadden by the lose of her mother. There are wonderful moments of humor and empathy for the characters during various parts of their story. A great element to the story is the fact that the mice and rats cannot only talk to each other, but they can also talk to humans. The plot truly grabs the reader into the story. The part of the plot is its great presence of cause and effect. For nearly every act that is made there is an effect. It because one small action that a series of events take place. For example, it is because Roscuro went into the light, hung from a chandelier I the banquet hall then fell into the soup bowl of the queen, who died from the fright, that King Phillip outlawed soup, spoons and bowls, and rats. Another perfect example is at the climax of the story: because Despereaux had told a story to the jailer Gregory he was able to escape the dungeon under the napkin in Miggory Sow’s tray and learned of the devious plot that Roscuro was employing to the servant girl. If Despereaux had not read the book from the library he would not have known of the plot against his love. The story is set in the Kingdom of Dor and in many areas of the king’s castle. The reader is taken from the little homes of the mice and their ventures into the castle rooms to eat like the library, Princess Pea’s room, to the dark dungeon (also called the deep downs), the banquet hall, the home of Miggory Sow’s uncle, and finally the kitchen. The book begins with the Despereaux’s birth during the month of April, and the plot continues in a forward fashion, however, there are moments when it will go back in time to begin or continue the sequences of events of another character. This classic setting allows DiCamillo to truly make the story of full of mice, rats, servants, a princess, a king, and banquets believable. However, this could also be taken out of the fairy tale setting and placed in a more contemporary setting. For example, this could be set in any large city. Princess Pea could become a well-to-do daughter of a successful businessman, Despereaux could be a mouse that is living in the house, Roscuro could be a rat that is living in the sewer next to the house, and Miggory Sow could be a girl from a underprivileged family that could be employed as the house cleaners. This story could also take on a western theme as well. It is the characters that truly make The Tale of Despereaux a wonderful and exciting book. They are wonderfully bold and colorful. The reader is able to see the thoughts, feelings, and physical details of each character through not only the story’s narration but also through the dialog of secondary characters, Despereaux’s sister Merlot stating that his ears are abnormally big and his brother Furlough saying that he was born with his eyes open (DiCamillo, p. 13). 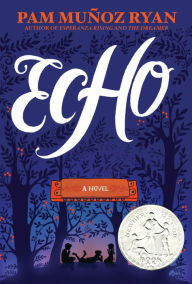 The third way that the DiCamillo reveals the characters is through how the they react to certain events and other character actions, for example, the reader is able to see how Roscuro’s heart is like especially after it is broken by Princess Pea at the banquet and how it mended “crooked and lopsided” (p. 116). To heighten their overall appearance and overall “real” and multi-dimensional, DiCamillo also provides the readers with insight into each character’s emotional strengths and weaknesses. Despereaux is a mouse with a large heart despite abnormal body and ear size, and because of his devoted love to Princess Pea overcomes even his self-doubt at times to become a hero. He is strong in convictions and will not succumb to the pressures and opinions that are set by his fellow mice. During sentencing with the Mouse Council, he refused to renounce his actions. Roscuro is more complicated than other characters. His feelings change three times during the entire story. First he was rat wanting to live in the castle’s upstairs light and leave the dark dungeon. However, the first chance he got during the banquet he comes to the realization that he is a rat when Princess Pea calls him so and orders him back to the dungeon, which broke his heart that soon mended to “crooked and lopsided” (DiCamillo, p. 116) and he began his plan for revenge. The final change of Roscuro happens when his love for the light and for soup, which he had surpassed since the banquet, where stirred up when his revenge was foiled with Despereaux’s rescue of the princess. Princess Pea also has multiple layers to her emotions and personality. Much like Despereaux, she too has a big heart. She is kind and “empathizes,” especially with Miggory Sow; however, she also has a twinge of hatred for Roscuro who is responsible for her mother’s death, and she also has sorrow for the lose of her mother. Miggory Sow may be considered the simplest of all of the characters. However, like her counterparts, she had experiences that shaped who she is. Despite her near deafness and her slow wit, which causes her trouble and is what Roscuro took advantage of, she is simply a good-hearted twelve-year-old girl who dreams of becoming a princess and who misses her deceased mother and missing father. The greatest aspect of DiCamillo’s characters is that they do fall into the stereotypical molds that one would usually find in similar stories. Despite the initial preconceptions that are made my King Phillip and Princess Pea, Despereaux and Roscuro are the two major characters who do not follow the traditional ways of their kind. Despereaux is not like other mice. Instead of feeding on their pages, he reads books. He loves the sound of music and the human Princess Pea. He even talks to the humans. Roscuro, ultimately, goes against the norms of the other rats by loving the light. Princess Pea may be considered perfect, but she also holds that tiny bit of hatred for Roscuro, which does change to empathy at very end of the story. Though she may depict the typical servant girl who was a subject of miserable treatment, Miggory Sow is the not a servant girl that one would find working in castle. Because of her unique qualities she is practically unable to perform any services in the castle other than serving the jailer his tray of food. Because of their uniqueness, the characters are also relatable to young readers. Readers can connect with Despereaux because not everyone is born physically perfect yet they are capable of doing impossible, which is much like the mouse’s growth from a sickly mouse to a hero because of his devotion to the princess. Also, like Despereaux children yearn for love and acceptance from family or from people he live with. Roscuro is the character that represents someone who wants something, such as living in the light, but was afraid of the consequences. Readers who have lost a loved one can relate to Princess Pea losing her mother. Finally, like Despereaux, young people can relate to Miggory Sow because not everyone lives with their parents, or live in a perfect household, or who are hard of hearing. There are several themes within The Tale of Despereaux. The most predominate ones are good and evil and love. The conflict between the hero and the villains is the most classic theme in literature, especially fairy tales. The struggle between Despereaux and Roscuro follows this excitingly; however, instead totally vanquishing evil, the princess stops the mouse from killing Roscuro who in the end lives in between the light and dark. The second predominate is love. Love is the reason for many of the events that unfolded in the story. Despereaux loved music and the princess that sent him to the dungeon and to save the princess from dungeon. It is love that made Roscuro venture upstairs to the light but only to return with an ill-mended heart. Finally, it is because of the love of her mother that Princess Pea bravely followed her captors to the dungeon. Other underlining themes are bravery, forgiveness, empathy, and acceptance. All of these themes are all good aspects for young readers to read, and The Tale of Despereaux is a good example of presenting them in a non-moralizing manner. The book is divided into four parts called books. The first three tell the story of Despereaux, Roscuro, and Miggory Sow. The final book relays to the readers what happens when all four characters come together and end the tale. DiCamillo’s writing is wonderful detailed and exciting. Through third-person omni-present narration, DiCamillo wrote The Tale of Despereaux much in the way that a child would imagine a fairy tale with a narrator who speaks directly to the reader. By speaking directly the reader, such as asking “do you know what ‘perfidy’ means?” then provides the meaning (DiCamillo, p. 44). This is a personal way for the author to connect to the reader and assist them in learning new words that are used in the story; however, older readers may find this as the author talking down to them. The overall presence of the narrator fits into the theme of a fairy tale because it very reminiscent a traditional chope orally telling the story to the reader. There is a well balanced of narration and dialog use in the book. As discussed above, the two of them play an important role in providing the readers with descriptive information. They are also an extension of the character’s personality. Despereaux uses words that he had learned from reading the book in the library. Roscuro speech changes from a well-spoken rat to a smooth, sophisticated villain, then back to how he was at the beginning. Princess Pea speaks perfectly like a princess, and Miggory Sow shouts most of the time because of her hearing and uses the expression “Gor” quite often. To explain and enrich the theme of good and evil, DiCamillo includes the metaphorical differences of light and dark. Light represents the goodness in the characters and darkness is evil. Even the wonderful illustrations by Timothy Basil Ering, depicts Despereaux in a halo of light and Roscuro, especially during his moments of villainy, in the shadows. In the end DiCamillo’s The Tale of Despereaux is a fantastically unique story with strong characters with the wonderful essence of a fairy tale. Gr 3 Up-A charming story of unlikely heroes whose destinies entwine to bring about a joyful resolution. Foremost is Despereaux, a diminutive mouse who, as depicted in Ering's pencil drawings, is one of the most endearing of his ilk ever to appear in children's books. His mother, who is French, declares him to be "such the disappointment" at his birth and the rest of his family seems to agree that he is very odd: his ears are too big and his eyes open far too soon and they all expect him to die quickly. Of course, he doesn't. Then there is the human Princess Pea, with whom Despereaux falls deeply (one might say desperately) in love. She appreciates him despite her father's prejudice against rodents. Next is Roscuro, a rat with an uncharacteristic love of light and soup. Both these predilections get him into trouble. And finally, there is Miggery Sow, a peasant girl so dim that she believes she can become a princess. With a masterful hand, DiCamillo weaves four story lines together in a witty, suspenseful narrative that begs to be read aloud. In her authorial asides, she hearkens back to literary traditions as old as those used by Henry Fielding. In her observations of the political machinations and follies of rodent and human societies, she reminds adult readers of George Orwell. But the unpredictable twists of plot, the fanciful characterizations, and the sweetness of tone are DiCamillo's own. This expanded fairy tale is entertaining, heartening, and, above all, great fun.-Miriam Lang Budin, Chappaqua Public Library, NY Copyright 2003 (August 1, 2003). *Discuss the fairy tale elements that are found in the book. *Discuss any foreshadowing that was hinted in the story by secondary characters. *Compare Despereaux to other protagonists from books like Wilbur in Charlotte’s Web by E. B. White. How are they alike? *Discuss the light and dark element of the story. What can they represent? *Read more of Kate DiCamillo’s fantasies like The Tiger Rising and The Miraculous Journey of Edward Tulane. Lowry, Lois. 1999. THE GIVER. NY: Bantam Book/Random House. ISBN: 0553571338. Like all the other kids his age, Jonas turns twelve and is assigned the adult role and job that was chosen by the Committee of the Elders. However, unlike the other kids he is instead selected to become the successor to the community’s important yet reclusive Receiver of Memories. During his training, where he receives generations’ worth of memories from The Giver, his predecessor, Jonas learns about his community before Sameness when there were emotions like love, joy, color, anger, pain, and freedom of choice. He also learns how his seemingly perfect utopian community with it rules and formality to insure the lack trouble is actually cold and void of any emotion and personal connection to one anther, as well as the true meaning of being released and being sent to the other community Elsewhere. Realizing that there is more to life than what he and his community already have, Jonas decides that everything must change and it is up to him to make it happen. Lowry has created an amazingly thought-provoking novel about how young boy is given the responsibility of carrying the burden of generations’ worth memories in a utopian community that is completely void of anything involves rudeness, suffering, and troublesome, which includes story weather and individuality, and makes the difficult decision to flee the community and return the memories back to the people. Set on the edge of science fiction, the plot is wonderfully well developed and moves at a smooth and enticing pace due to the hints of foreshadowing of events to come, such as how Jonas was “apprehensive” about the upcoming Ceremony of Twelve where his adult assignment will be given, and due to the questions that Jonas, and Lowry, have created about the society and the memories. These questions brings to the readers to the halting climax where Jonas finally learns the true meaning of a person, an Old (an elderly person) or even a Newchild (newborn), being “Released” by watching his father inject a perfectly healthy identical twin with a concoction that kills the child because it would save the community from the confusion of seeing two child who look a like (Lowry, p. 150). As mentioned above, Jonas’ community is in a utopian setting sometime in the future. It is impeccably clean with constant perfect weather and is without things that we would currently find in our society such as crime, starvation, poverty, rudeness, etc. There are rules that everyone must follow and if one is broken they are immediately corrected, for example, when Jonas took home an apple that had inexplicitly turned the color red, and he was corrected by the speakers that situation all over the community, “Attention. This is a reminder to male elevens that objects are not to be removed from the recreation area and that snacks are to be eaten, not hoarded” (Lowry, p. 23). For any correction of serious wrongdoing, specifically breaking the certain minor rules, there is always an apology; however, for three-times repeated offenders are “released” from the community. The community is specifically set up for ease and perfection. Families consist of a mother a father and two children, one male and female. Spouses are chosen for them. Children are born by surrogate mothers, or Birthmothers, and are not names until they are a year old and given to a family who has submitted a request for a child. Everyone wear tunics and other clothing of no true color. At specific ages children are given certain privileges, such as at the age of seven they receive with jackets with buttons they can do and undo by themselves, age eight they are allowed to begin their volunteering. At nine they are given their bicycle and girls are allowed to stop wearing hair ribbons, and age ten they get their haircut. Finally, at twelve years old they are assigned the adult role in life and age is not longer important. When the children are grown and have spouses of their own parents are sent to live with Childless Adults , and finally when they are old they are sent to the House of the Old and await their release. There are mentions of other communities outside of this particular one. However, there is no descriptive mention that those communities are like this one. Lily, Jonas’ little sister, tells her family during the ritual of describing how they feel during their evening dinner that she was “very angry” because a male from another community of Sevens visited her Childcare group and did not obey the rules (Lowry, p. 5). There is the place called Elsewhere where the “released” members of the community are sent. However, there is still no true description of it. The setting appears to be extremely ideal and perfect. However, as we learn more about through the eyes of Jonas as he receives the memories we realize, examining it out of context, that this utopian community is more dystopian in nature: it is a society characterized by oppression. The only two characters in The Giver the reader truly gets to know is Jonas and the Giver. Because they share the memories of wars, suffering, love, joy, color and they shared ability to See Beyond, such as seeing color, they have a soul and they well-developed characters. They have feelings and emotion. They ultimately create a familiar bond of a Grandfather and a grandson. In comparison to these two, the other characters appear flat. They do have deep emotions and wisdom that Jonas the Giver has. They do not understand that when the community, for example Jonas’ father who is a Nurture and cares for Newchildren, releases a person they are actually killing them. The only character that the reader can truly connect to Jonas and the Giver is the Newchild Gabe. To help the baby develop, Jonas’ father brings him at night in an attempt to help him sleep at night. Through the use of dialogue, the reader immediately learns an important characteristic about Jonas: Lily “rudely” points out that Gabe “has funny eyes like yours, Jonas” (Lowry, p. 20). Jonas and as we discover later that the Giver too has light eyes, as pale, light eyes in comparison to the dark days that everyone else in the community have. As Jonas learns that people with pale eyes have the tendency to see the beyond such as colors. A very interesting aspect of all the characters is their impeccable use of speech. As part of the utopian ideal, the community member uses the precise words to describe their feelings or opinions. At the very beginning of the book Jonas is searching for a word that would accurately describe how he felt about his upcoming Ceremony of Twelve. Then later one, when Jonas sees the favorite memory of a family of Grandparents, parents, children and a dog celebrate Christmas a warm fireplace and feeling the love that was in the family he asks his parents if they love him. The response he receives was awkward. His parents told him he used a too general of a word that was meaningless and told him to use more of a precise word, and asked more specifically if they “enjoy him,” to which response was yes (Lowry, p. 127). Because they’re use of precise language, even young children speak with a level of maturity that is not normally seen, which is another illustration of early in life (age twelve) that children are expected to become adults. This is all done during a large ceremony that is performed during the month of December. Jonas grows emotionally throughout the book due to his training as Receive of Memories. At the beginning of the book he is like everyone else in the community who follows the rules, even though he is at times left with questions However as he is training with the Giver, he comes to the realization that everything is not what it should be. He wants to share the experiences and images that he has; however, he cannot. Once he recognizes that his parents do not truly love him in the way that he sees in the memories, he starts his first deliberate retaliation against the rules of the community: he stops staking the daily pill that oppresses the Stirrings that are relatable to the urges felt during puberty and adulthood. He also, after accidentally doing so the first time, gives Gabe happy soothing memories at night in order for him to sleep, and ultimately creates another loving bond with the baby, which is against the rules. Finally, when he learns of Gabe’s “release” is unavoidable he makes the snap decision to flee that very night with the babe instead of the next day like planned. The importance of memories is perhaps the predominate themes in story. Memories are a symbol for wisdom. Because of memories people can learn from the past in order to be better and more successful in the future. The Committee of Elders recognizes this importance and that is why they create the role of Receiver of Memories who will burden all the memories and who can advise the Elders in decision-makings. For example, when the Committee of Elders was considering a petition “to increase the rates of births. They wanted each Birthmother to be assigned four births instead of three, so that the population would increase and there would be more Laborers available,” they consulted the Giver and he gave a centuries old example of overpopulation that resulted in poverty and starvation (Lowry, p. 111), which resulted in the Elders declining the petition. Memories may be painful at times, which is evident in the fact that the Giver’s appears older than he truly is and because the previous Receiver-in-training Rosemary requested and performed her own “release;” however, it is better to have memories than not to have them. This is the main reason why the Giver and Jonas develop the plan to share the memories by means of Jonas escaping the community, which will disperse the memories that he had received all year long back to the people. Lowry’s writing style is wonderfully descriptive and gripping. The community is well explained in all of its formalities to ensure peace and harmony. To describe the memories that Jonas receives, Lowry literally transports Jonas into to the memories, much like vivid dreams or visions, so that he can experience the pain or emotion such as crashing a snow sled and breaking his leg, but suddenly he returns back to the Annex where the Giver lives (Lowry, p. 109). That is how Jonas can feel the love from the family and warmth of the fire in the Christmas memory. There is even a wonderful description of the Giver’s living quarters that is warm, colorful and full of books that is drastically different to the home Jonas’ family. The Giver is narrated in third-person limited that allows the readers insight to Jonas thoughts and feelings only. The decision for using the third-person narration then allows the readers more of a overview of the community that is not entirely through Jonas’ point-of-view. Dialogue is well used for all of the characters. As discussed above the speech patterns is very specific in its purpose, even for young children. The overall mood that is presented in the books is that even though everything appears perfect and right, which can be comforting, there is also something wrong with it, which is reinforced when Jonas and the Giver decides that things must change. The last gripping part of the book is the ending. Using is wisdom that he has gained, Jonas protects himself and Gabe from the search planes, travels through unknown terrain, and suffer pain and starvation. However, he knows that this was a better life than what he left behind. At the very end he sees in the distance a warmly lit and welcoming house and he hears music and singing before him and possibly behind him. Lowry leaves the readers wondering if he had finally found a populated community. Lois Lowry’s book The Giver is an incredible book that will entice both young adult readers and adults alike and will induce critical thinking of many aspects. 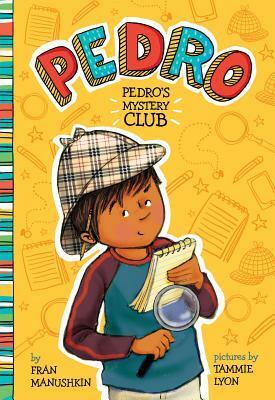 It truly deserves its Newbery Award. *Ask the discussion group what they thought of the ending and how they interpreted it. Does Jonas and Gabe survive? *Discuss the foreshadowing of events. *Discuss the meaning of the name of Rosemary, the last Reciever-in-Training, and Gabe (Gabriel) and how are they connected to the story. *Have the readers read Lois Lowry’s sequels Blue Gathering and Messenger, which will provide an answer to the question Jonas and Gabe’s survival, and have them discuss the plot of the books in relation to The Giver. Erdrich, Louis. 2005. A GAME OF SILENCE. NY: HarperCollins Publishers. ISBN: 0060297891. During the year 1850, the events of young Omakayas and her Ojibwe community's lives are interrupted by the arrival of distant relatives with the disturbing tale of their forced relocation and the possibility that Omakayas' community could be next. Erdrich's A Game of Silence, the sequel to Birchback House, is set during the year of 1850 on the small island of Moningwanaykaning, Island of the Golden-Breasted Woodpecker, in Lake Superior. The book covers all four seasons of the years as they await the news of whether or not they are going to be forced to movie west as the westward expansion America. Since the story is about the small Native American community, there are numerous characters, which include Omakayas' mother Yellow Kettle, her father Deydey, little brother Pinch, and her older sister Angeline. Other prominent characters within the story is Old Tallow, a female hunter, her uncle Albert Pautre, who is a French Tradesmen, and Fishtail who was sent out to learn if the news of the relocation is true. The characters are well developed; however much of the focus and emotional details are focused on the nine-year-old protagonist Omakayas. She worries of the impending relocation from her home. The large amount of characters in the story the book has little stories about a specific character that involves the rest of the community. A good example of this is when a warrior girl named Two Sticks shoots a moose straight in the eye with an arrow (Erdrich, p. 79). There are also stories that are relatable to Omakayas' vision like dreams, such as dreaming of her father coming home after helping the neighboring white community's priest. The overall plot is quite simple and true to the time. Many Native American tribes during the 19th century faced relocation from their lands due to the continuous growth of America. As any family or community would react to these type of threat, the feeling that spreads through the Ojibwe community is relatable to any reader who had to move at least once in his or her life. The themes found within the plot of The Game of Silence are classic. The major theme seen is the one of change and acceptance. Omakayas has to learn to accept her dreams and the change that will come when she and her people leave their home. There is the theme of learning about oneself. This is specifically seen in Omakayas. Throughout the book she tries to ignore and not worry about her vision like dreams; however as her dreams, like the one of her father arriving home safely, becomes reality she and her people realize that she has a gift and is sent to the woods to face the spirits and her dreams. This is where she finally understands her purpose in the community and that her family and community must leave. There is the sense of family love. There is interaction between her entire immediate family but also with her family like community. There also a strong aspect of the culture's morals, beliefs and attitudes. Even though there is a white people settlement on the island, the community still say prayers to the great spirit Gizhe Manidoo. They also perform rituals such as placing tobacco in the ground as an offering for a safe passage from the island to the mainland. The style of Erdrich's books quite simple. Even though there is no true dialect seen in the text, there is frequent use of Ojibwe words used to represent an expression or word, for example the word "ombay" means "come here and "chimookoman" means "white people" (Erdrich, p. 252, 255). To divide the year represented in the story, the book overall is organized into seasonal sections then by chapters. There is a prologue that tells of the coming of the relatives and introduces the characters that major characters. The speech patterns of the characters were relatively the same; however, the personalities show through heir mannerisms. Finally at the end of the book Erdrich provides a glossary of the Ojibwe words used in the text and their defintions. Because of the multiple vignettes stories about all of the characters, The Game of Silence's style is very reminiscent of Laura Ingalls Widler's Little House series. Another similar aspect is the use of black and white drawings mixed into the text. With the fantastic examples of family and community interactions, use of traditional words, and the overall emotions shared by the entire community makes this as wonderful book. *Have the group read the prequel The Birchback House. *Discuss the cultural beliefs of the Ojibwe community, such as it gender roles. *Have the group discuss the similarities between Erdrich's books and Laura Ingalls Wilder's Little House books. Avi. 1990. THE TRUE CONFESSIONS OF CHARLOTTE DOYLE. NY: Avon Book. ISBN: 0380714752. In 1832, leaving England, thirteen-year-old Charlotte Doyle leaves England and her boarding school to sail to America where her family lives. However, little does she know that she becomes entwined in a mutiny plot aboard the ship the Seahawk, is accused of murder, and becomes part of the crew. Surviving a hurricane, Charlotte finally arrives in American going home to her family, but only to realize that her true home and family is aboard the Seahawk. As fantastic as the docks are, the story primarily set aboard the big ship Seahawk. First as a passenger then as a member of the truth, Charlotte sees all parts of the ship, which include the captain's cabin, the forecastle (the crew's quarters), the hold, the brig (the ship's jail), and even aloft on the mainsail. The list of characters is quite large. In addition to Charlotte there is the cruel Captain Jaggery, the Seahawks crew, which include important characters such a Zachariah a black man who serves as the ship's cook and surgeon. Despite the large cast, each character has their individual personalities. Charlotte, herself just out of a boarding school, is a polite girl who describes herself at the beginning of her story as having not yet begun the shape, much less the heart of a woman... I certainly wanted to be a lady. It was not just my ambition; it was my destiny"; however, as she lived through the events on that "fateful voyage" she develops into a mature young woman (Avi, p. 1, 3). Captain Jaggery is a man who has a reputation for sailing his ship and crew under a tight and firm rein, and as the story progresses the readers see his anger and rage come to the forefront. The plot of Avi's book is simple and quite exciting. It is full of actions, such as murders and sailing through hurricanes. There is even surprising twists to the story. Because of his past actions against the crew, Captain Jaggery is the subject of a mutiny and murder plot by the crew. They are to avenge the cruel death of a fellowship mate from a previous voyage. Mutinies, especially due to the actions of the ship's captains, is fairly common part of sailing during this period of time. There are several themes seen in The True Confessions of Charlotte Doyle, which reflect the many of the classic themes found in literature. There is the theme of the triumph of good versus evil. A second theme is the revenge, which is fueled by the Seahawk crew. Finally, there is the classic coming of age aspect to Charlotte, who boards the ship in England as a girl but arrives in Rhode Island as a woman with experiences that no normal woman would have never gone through let alone survive. The style of the book is well formated. Charlotte is the narrator and is told in a recollection approach. In the story she states that her father had requested her to write in a journal during her voyage, and like a dutiful daughter she does. She recounts truthly all the happens aboard the Seahawk. To begin the story, she provides "An Important Warning" describing that this is a true story and that the she initially believed that her voyage was to be a "lark" (Avi, p. 3). This is also the first area that there is a sense of foreshadowing. The book is also separated into two parts. The first part is where the story that leads up to Charlotte's decision to become part of the crew after witnessing her friend Zachariah's death by the hand of the captain. The second part relays her story as a sailor and the events that follow. The mannerisms and the speech of the characters reflect the time period wonderfully. Charlotte described herself, after attending the boarding school, speaks properly and had the ultimate goal in life to become the woman that her parents wanted her to be. Although seasoned sailors, the crew also have a level of gentlemanly manners. In the first part of the book, they addressed Charlotte as Miss Doyle and were conscious of their use of language around her. The difference language and speech patterns also illustrations the different social classes during that time. Charlotte and Captain Jaggery spoke in a manner that represented education and a higher social class, and the Seahawk crew's represented the lower social classes that was not properly educated. The example of this is also seen in the mannerisms of Charlotte's family. Her younger siblings and mother make comments on Charlotte's tanned, rough hand, and short hair appearance. Her father barks orders at the housemaids. Even Charlotte had recognized that she had acted nearly the same at the beginning of her voyage; however, once in Rhode Island, she had entered the level of her crew mates and did not care if there was a social difference between her and the family's housemaids. To finish the book, Avi provides an Appendix that provides a diagram of the Seahawk and a description of how the Ship Times that explains how the crew worked in watches throughout the day. With all of these fantastic details, Avi has written a fantastic historical fiction that will grab any reader who picks it up. *Have a discussion with the group that answers questions about the book's plot, style, themes, and characters, such as the topic of change in traditional gender roles. *Ask the group what would they have done if they were in a situation like Charlotte. *Read Catherine, Called Birdy by Karen Cushman and have the group compare the two stories. *Learn more about sailing and ship during the 19th century with books like The World's Sailing Ships by Camil Busquets. Stanley, Diane and Peter Vennema. 2001. GOOD QUEEN BESS: THE STORY OF ELIZABETH I OF ENGLAND. Ill. by Diane Stanley. NY: HarperCollins Publishers. ISBN: 0688179614. This biography follows the life of England’s passionate and strong-willed Queen Elizabeth I from her birth, through her forty-five year reign and to her death. Authors Diane Stanley and Peter Vennema has created a wonderful biography of Queen Elizabeth I that is filled with accurate information presented in a form of story and detailed illustrations. The story of Elizabeth I is greatly detailed and at times complex; however Stanley and Vennema have taken the important information and have written it in a very clear and concise way. The actual historical facts come in various forms. To begin the book, Stanley and Vennema provides as note about the religious movement that was happening during this period time and how it was important to the country of England, especially during Elizabeth’s reign. Elizabeth’s story begins with the account of her father King Henry VIII and is continuous desire for a male heir and introduces his six wives, who he was able to marry because he declared changed England’s religion from Catholicism to the new Church of England. The authors also use dates in their text, such as on November 17, 1558 when Queen Mary, Elizabeth’s half-sister, died and Elizabeth was crowned as the new queen, which the readers a perspective when these events happened. The personal details of Elizabeth truly allow the readers to gain a greater understanding of how she was a person. She was highly educated, speaking five languages other than English, and was talented in many areas. Because of her education, as the readers will discover further on, Elizabeth was able to be a discuss matters with foreign governments, how to intelligently handle her own councilors, and rule her country will a tolerable but firm hand. The story also creates a window into the feelings Elizabeth had on many events that happened during her reign. For example, despite the fact that Mary, the Queen of Scots was convicted of conspiring against her and was executed, Elizabeth grieved for the Mary, who was in fact her cousin and because they had never met. Other matters that Elizabeth felt strong about was the pressures and desires on her to marry and have an heir. However, since she knew that this would involve marrying a man from another country, which would not only benefit that country but it also meant that she would have to relinquish her reins has ruler to her husband. Keeping her country in her best interest, she never married and continued to be the ruler who loved her country and her people. Stanley and Vennema also provide accurate quotes. A wonderful example of this is seen when Elizabeth addressed her army before they fought against the Spanish Armada. She states, “I know that I have but the body of a weak and feeble woman, but I have the heart… of a king – and a king of England,” (p. 28) which as actually a direct quote from the speech that she truly did made in 1588. The illustrations that Diane Stanley created for this book are wonderfully detailed and reflect the ornate decorations and fabrics that are seen during the Elizabethan Era. Though the overall appearance of the scenes depicting Elizabeth, other characters, and her surroundings are slightly two-dimensional in nature, the details of the clothing are remarkably accurate, the trunk hose (the puffy round pants that the men wore over tights), their doublets (the coats), and even their duckbilled shoes are accurate to the time. This is especially the case for Elizabeth. Her ornate jewelry, hair ornamentations, the farthingale-style of garments, the high lacy-collar, and even the fancy brocade fabric is accurate recreated and reflect many of her portraits scene in museums. By using the illustrations, the authors have yet another method to show the readers the years passed, which is not only seen in the different styles of clothing but also in the facial appearances of the characters. Elizabeth appearance began as a young woman and has the years passed her appearance begins to age. The end of the book the illustrations depict Elizabeth depicted wearing her unnatural red wig, white skins and red rouge, her wrinkle face. The organization and design of the Good Queen Bess: The Story of England’s Queen Elizabeth I is executed well. The story begins with the story of Henry VIII and his search for a wife who could provide an heir and ends with Elizabeth’s death in 1603 and the crowning of James VI. There is an illustration on every page. The text is always situated on the lower portion of the page with an illustration above. At the very end of the book, author also provide their bibliography of the sources they used and they also provide a bibliography of recommended books for young readers who would like to read more about the most powerful queen that England ever had. *Read more about Queen Elizabeth I with books like Elizabeth I and Tudor England by Stephen White-Thomson and Queen Elizabeth I by Betka Zamoyska. *Learn about other famous figures and the time period itself with books like Shakespeare and the Elizabethan Age by Andrew Langley. *Learn about the clothing worn during Elizabeth’s time with books like Elizabethan England by Kathy Elgin. *Make lace collars like the men and women wore during the Elizabethan Era by accordion fold layers of tissue paper and paper clip it in the back of the neck.